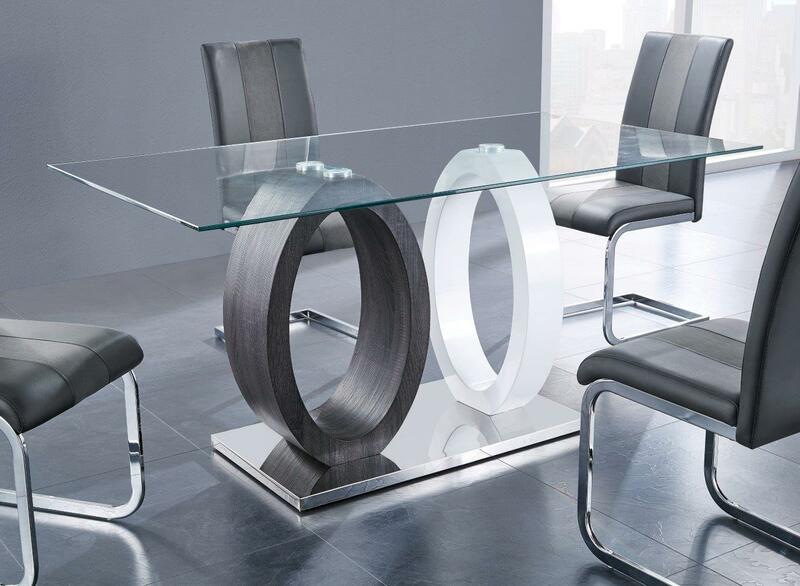 D1628 Clear Glass Top Contemporary Dining Table Featuring Opposite Oval Design and Stainless Steel Base. 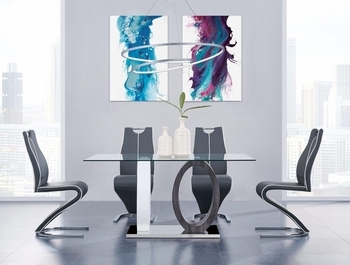 One Oval Pedestal is White High Gloss Laminate and One is a Grey Wood Laminate. 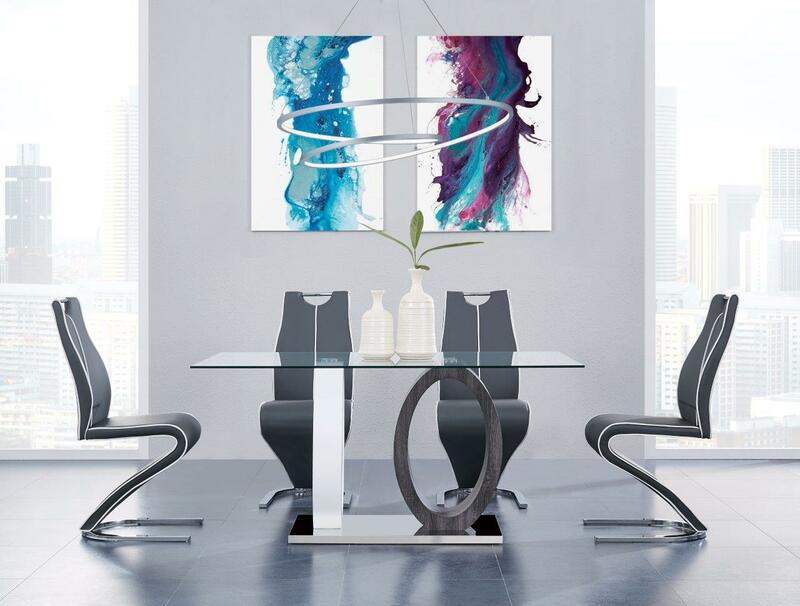 D4127DC Sleek Contemporary Upholstered to the Floor Dining Chair Grey Polyurethane Cover for Easy Clean-Up with White Contrasting Welt Accents Featuring a Chrome Pull at the Top and a Chrome Horseshoe Curved Base.